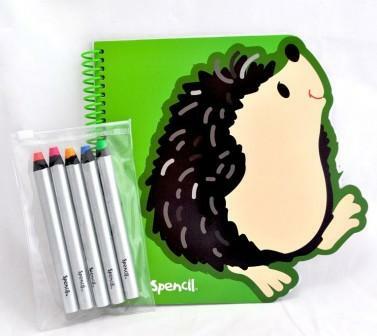 Ideal first drawing pack for young kids. A5 spiral hardcover notebook with 50+ pages of green lined paper and hedgehog print. 5 fat neon crayons in wooden casing.